When in a pinch for time, and on the way back to the office from the F train, Lahore can't be beat. Cheap, fast and reliable. 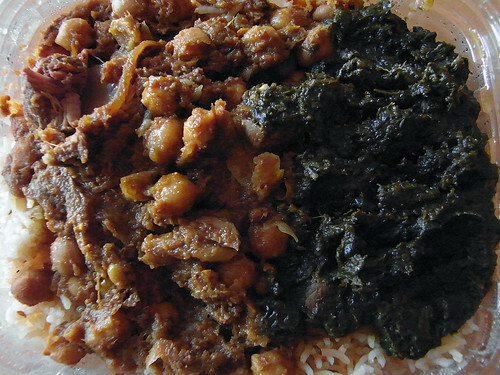 Today we got the spinach and potato, with the chickpea and lamb. Sometimes it's nice not to think too hard about lunch.